Arctic Design Week (ADW) is a design event organised in Finnish Lapland. The event has been running since 2008 and, this year, the leading theme was Design Business in the Arctic. ADW is characterised by multiple programme strands and theme-days such as the Arctic Design Business Day held in Korundi House of Culture, Rovaniemi on 25 February. a creative momentum project co-organised this Day, which focused on the role played by design and user experience in business development. 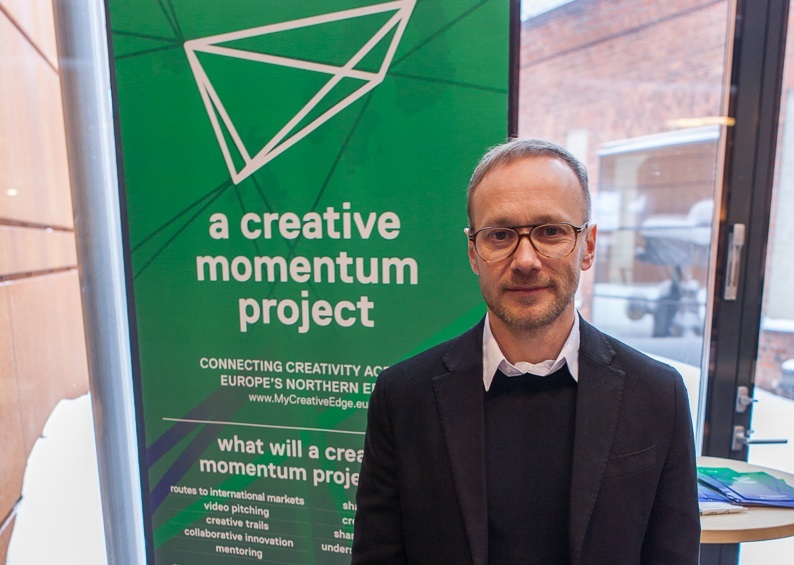 a creative momentum project invited Leif Rehnström to be a speaker. Leif is CEO of Hello Future – a company based in Skellefteå, Sweden. Hello Future is a digital transformation agency that helps organisations strengthen their digital skills and create innovative products and services. Organisations can therefore grow by differentiating and improving the overall experience of their customers. Hello Future’s clients range from innovative start-ups such as Droples to multinationals such as ABB and public sector organisations including the Swedish Agency for Economic and Regional Growth. The afternoon session of the Business Day included two workshops targeting entrepreneurs and business owners. One workshop focused on product and service design, and the other focused on digitalisation. The various experts and speakers offered their assistance, providing them with useful tools and insights to for their businesses.